Have you had flood or water damage in your home or office in Mount Helix ? Our Flood & Mold Remediation pros have been serving Mount Helix and the San Diego area for over 25 years. If you have had a recent flood be sure and check your home for mold. Mold problems should be dealt with immediately before they can have devastating consequences. Gold Coast Flood is the top expert in Mount Helix and San Diego County for safe, effective, and thorough mold removal and remediation. 6 Time Angie’s List Super Service Award Winners! Gold Coast Flood & Mold is the name you can call to do the job the right way, the first time. Water Damage in San Diego? Experience the Gold Coast Difference! As a Christian-based, family owned and operated San Diego water damage restoration and mold remediation company, we’re committed to excellent service in every aspect of the job. From the initial phone call through project completion, you’ll find the highest degree of professionalism, flexibility, quality of work and peace of mind that your water damage or mold problems will be taken care of with as minimal disruption as possible. 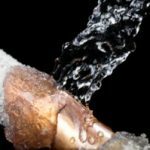 Whether it be water damage from a roof leak, slab leak, pipe leak or sewage backup, Gold Coast Flood Restorations is here for you. Be prompt, courteous, and responsive to your needs. Earn your trust and loyalty. Inform you about all aspects of the water damage or mold remediation job. Prepare a written water damage or mold remediation estimate. Offer competitive water damage or mold remediation prices. Leave a job site clean. Fully stand behind our work. Keep you happy and informed. Centrally located, we service Mount Helix and all of San Diego, 24 hours per day and 7 days per week. We are proud to be celebrating our 25th Anniversary of providing excellent service in San Diego County!! Ask anyone who has used us, in Mount Helix our name is synonomus with quality work. Our clients are our best advertising. When you call us we are there for you. At Gold Coast Flood Restorations you get a live person 24 hours a day, 7 days a week and 365 days a year. All of our techs treat each water damage restoration project as if it were his own home. That means that we are pulling nails from studs, cutting drywall in a way that makes it easier to install new drywall (leaving tie-in’s), snapping chalk lines for perfectly straight cuts, and generally taking extra measures to leave a job site as clean as possible – even if we are not performing the reconstruction. Gold Coast Flood Restorations are your Mount Helix water removal specialists. 24 hours per day, seven days per a week. We are your Mount Helix Water Damage Pros. If a mold inspection reveals that your home does indeed have mold you will need to have the mold removed. Mold removal, also known as mold remediation, will need to occur to avoid the spread of mold into other areas of the structure. Mold remediation should be done as quickly as possible. Give us a call at (858) 495-9133 and we’ll show you that we are the Mount Helix mold removal specialists! There will come a time in every homeowner’s life when you will have to hire someone to work on your home. Regardless of your self-appointed category of skill level – from “needs help screwing in a light bulb” to “DIY master of handy-projects” – inevitably a circumstance, often of the emergency variety, will find you flipping through the phone book in search of hired help….. Read more about how to select the right water damage restoration or mold remediation contractor. Water damage can have a wide range of effects on your property depending on the type and severity. It is very important that when you are assessing your water damage situation, you take into account the possible unforeseen damage, like water leakage in between walls and under flooring. 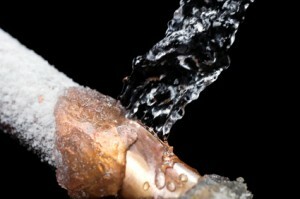 Read more about what to do if you have water damage in Mount Helix.